The goldfinch is one of the most colourful and attractive of our native birds. With its red, white and black head, black tail and black wings with a brilliant yellow band, it is easily distinguished. 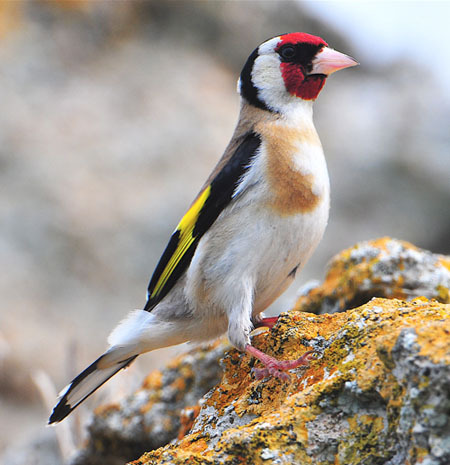 The two sexes are identical in appearance, but young goldfinches lack the head colours. It frequents orchards, gardens and areas of rough grassland, where it feeds mainly on seeds and especially on thistles. In recent years the ready availability from bird-food suppliers of nyjer seeds has made it very easy to attract goldfinches to one’s garden. The birds are gregarious, usually travelling about in small groups, but sometimes in winter gathering in large numbers with other finches on wasteland where seeds are abundant. A group of goldfinches is called a charm; although this seems an appropriate word for such attractive little creatures, apparently the word, derived from an Old English word, really describes the liquid tinkling call and song. Unfortunately, the bird’s very charm led to its being widely trapped in its thousands and almost rendered extinct in some areas. 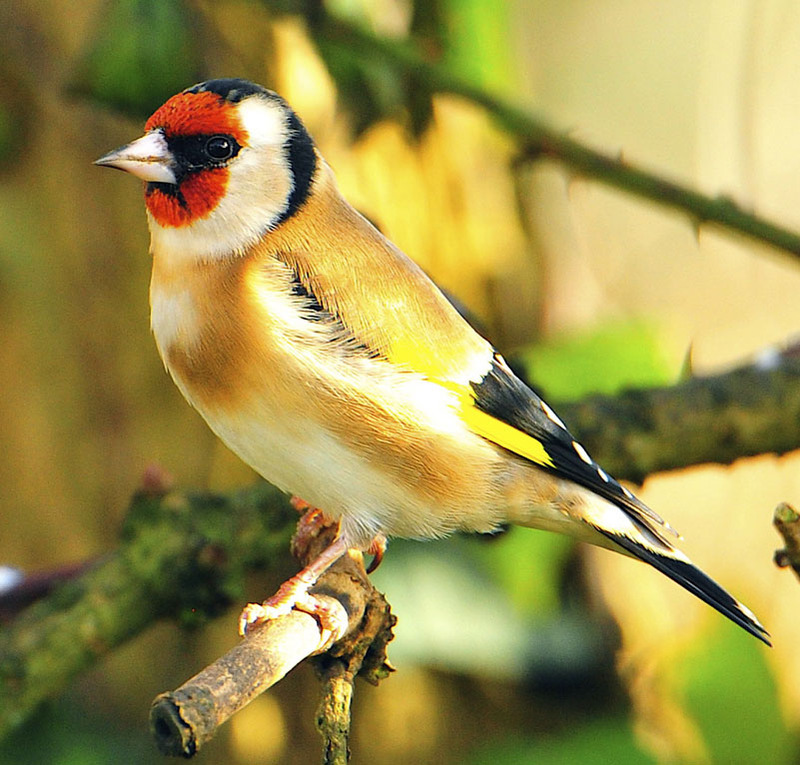 When the Society for the Protection of Birds (today’s RSPB) was formed in the 1890s, one of its first aims was to save the goldfinch. The blood-red face and the diet of thistles – blood and thorns – meant that the goldfinch came to be associated with Christ and the Crucifixion, and was frequently included in medieval religious paintings. As gold was thought to have curative powers, the goldfinch likewise was often held to be good for one’s health and wellbeing. This entry was posted on Wednesday, May 19th, 2010 at 12:01 pm	and is filed under News. You can follow any responses to this entry through the RSS 2.0 feed. You can leave a response, or trackback from your own site.